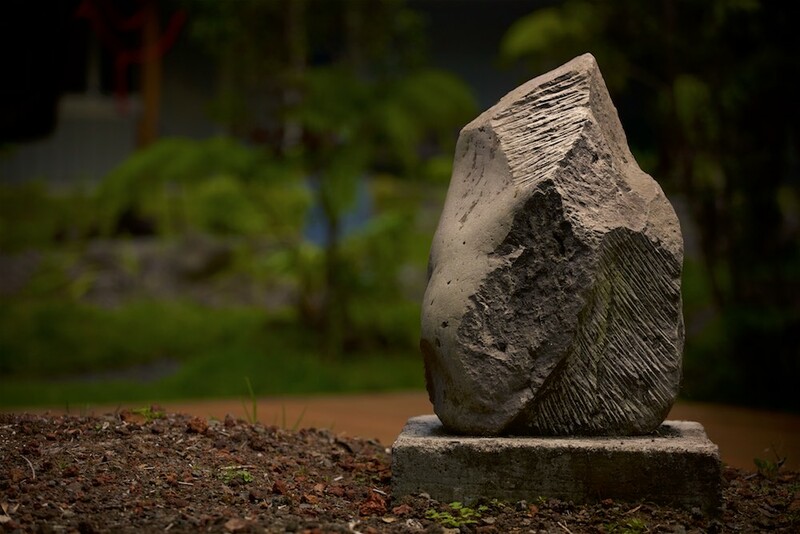 Volcano Art Center invites sculptors to submit designs for the second installment in its Ni‘aulani Sculpture Garden in Volcano Village. 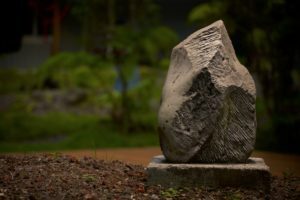 Volcano Art Center (VAC) announces a call to artists for the second exhibit at Hawai`i Island’s unique outdoor sculpture garden. VAC’s Ni‘aulani Sculpture Garden sits adjacent to an old-growth rainforest atop Kilauea Volcano. The site features meandering pathways, endemic plants, and a covered 10’ X 10’ performance deck for music and dance. This garden is a special place for gathering community members. The exhibit, entitled Interplay: Art Science will provide high quality sculptural work that stimulates contemplation and dialog of aesthetic and educational value to people of all ages and cultural backgrounds. An anonymous artist remarked “sculpture is uniquely suited to the task of combining art and science. Besides having an intuitive sense, sculptors are also grounded in Earth materials and tools and must be part engineer to do what they do”. The call for entry is for new works by artists using sculpture media that can withstand or safely interact with the elements. Works may be traditional or experimental in form and should contemplate a visual dialog between art and science. Visual art professionals and university students are eligible for this call for entry. Artists may submit up to three original design presentations on-line using CaFE.org. Submit your designs here! Deadline for submissions is December 31, 2018, with artist notification of the committee’s decision by January 19, 2019. Selection committee members are Michael Marshall, Yen Wen Fang and Isabella Ellaheh Hughes. The exhibit opening and artist reception at Ni‘aulani will be held on April 28, 2019.